Marnie Galloway is a comic artist and illustrator working in Chicago, Illinois. She was born in Austin, Texas and studied philosophy and symbolic logic at Smith College. Galloway's comics have appeared in numerous anthologies and magazines, including Saveur Magazine, Cricket Magazine, and the 826CHI Compendium. 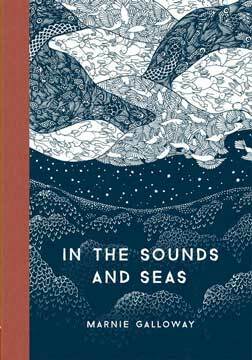 While she has published shorter works, In the Sounds and Seas is her first graphic novel.